Mike “Image Me” Gavronski (21-2-1, 14 KOs) scored a sixth round TKO over previously unbeaten Australian Jake Carr (11-1, 4 KOs) on Saturday night at the Emerald Queen Casino in his hometown of Tacoma, Washington, rebounding in devastating fashion from only his second career loss. 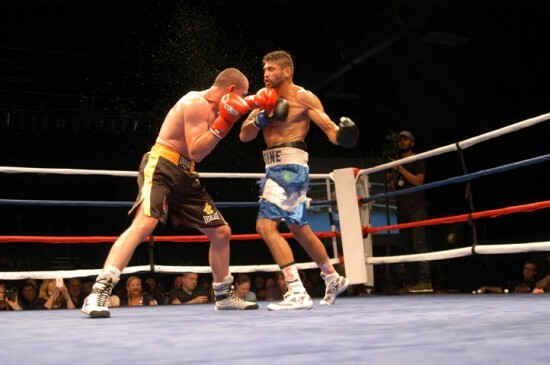 In the super middleweight main event of Brian Halquist Productions’ Battle at the Boat 107, Gavronski dropped Carr with a devastating right-left combo in the sixth and forced the stoppage moments later with a barrage of unanswered right hands. This Saturday night at the Emerald Queen Casino in Tacoma, Washington, Australian super middleweight prospect Jake Carr (11-0, 4 KOs) will take on Tacoma’s own Mike “Imagine Me” Gavronski (20-2-1, 13 KOs), breaking a year long hiatus from the sport in his first foray into the U.S. The bout will serve as the main event of Brian Halquist Productions’ 107th installment of the long-running “Battle at the Boat” series.